Music education enhances one’s learning, understanding and appreciation of its history, values, and traditions. It enables the opportunity for self-expression, emotional and spiritual release, creativity, greater thinking skills, and the chance to be inspired for a positive cause, among other gifts. These six Websites touch base on learning music history, playing music, and spreading this wealth to others, pinpointing rock history and classical music history and information for children. The Seven Ages of Rock is a renowned series targeting the history and evolution of some of the sub-genres associated with rock music. The first segment features blues rock, the British Invasion, and important figures such as Bob Dylan (1963-1970), the second speaks on how rock music became an accepted art form and its theatricality (1966-1980), the third tells the story of punk music (1973-1980), the fourth dishes out heavy metal (1970-1971), the fifth focuses on arena rock (1965-1993), segment six is devoted to alternative rock (1980-1994), and indie rock rounds out the last episode (1980-2007). A definite must in the library for rock connoisseurs. 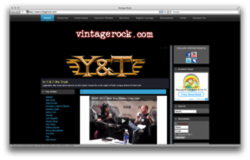 Vintage Rock focuses primarily on the classic rock radio format, ranging from Deep Purple to Pink Floyd. 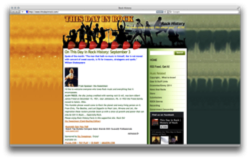 The “Features” section offers advice, opinions, factual information, and comparisons of artists and the music industry, and the “Digital Lounge” tab allows streaming audio and video. Other main categories are “Artists,” “Interviews,” “Photographs,” “Show Reviews,” and “CD/DVD/Book Reviews.” Nothing out of the ordinary but worthwhile. 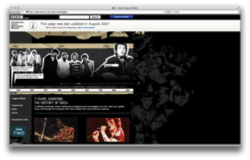 This Website reads as sort of a primer for rock music history on a particular day, with an easy by-year-timeline layout beginning from the most recent date. Steer away from the main page and there are other options to choose from: news, t-shirts, viewer submissions, and a number of musical articles. The Website ultimately serves as a gateway; the many links it displays provides even greater information on rock music and its industry. “A safe place where kids can create, share, and learn” is the motto, and it strictly adheres to that. The categories are broken down by grade level bracket and educators. Each is furnished with a plethora of reputable government Websites on a number of school- and health- & safety-related subjects. 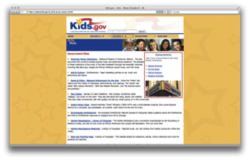 The musical portion features links to music articles and sites such as the Library of Congress, the Smithsonian Institute, and the National Museum of American History, among others. 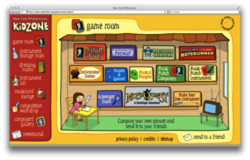 The New York Philharmonic Kidzone is a virtual activity place for children to learn about the basics of classical music, including instruments, conductors, and soloists. There is even a composition workshop for children to create their own music and a lab where they can make their own instruments. It is chock-full of brilliant ideas and games, exuberant colors, appealing cartoon pictures, and easy wording and navigation. 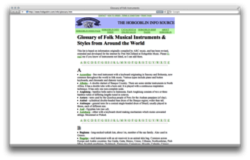 The Hobgoblin Info Source celebrates traditional, folk and Celtic music, and the “Glossary of Folk Musical Instruments and Styles from Around the World” is a particularly interesting part that tackles the origins and history of various popular folk instruments. To see what the longest flute is or the various spellings of the quanoon are, visit here for easy access.